A longstanding lawsuit between Google and UBER over self-driving cars has come to an end. Though a judge cleared UBER of the charge of stealing Google-sibling WAYMO’s driverless software, the ride-sharing company admitted under intense cross interrogation that it did effectively steal the technology powering its driverless fleet. This confirmed long-held suspicions over how the company managed to leapfrog its way into the complex science of using machines to guide machines without human assistance. UBER engineers admitted on the stand they had no clue how to implement driverless technology when tasked to do so by CEO Travis Kalanick, so they ordered a ‘AS SEEN ON TV’ robot vacuum cleaner. The revelation explain a lot about UBER’s self-driving vehicles that was so puzzling, such as their tendency in empty parking lots to make continuous passes until the lot have been covered, as well as their strong attraction to couches. 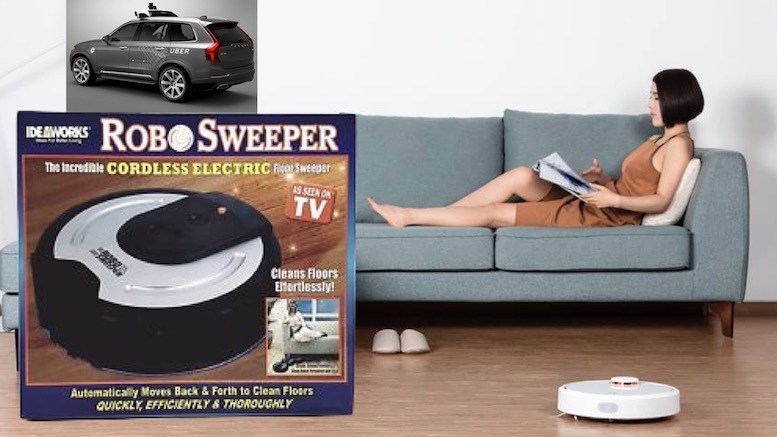 Be the first to comment on "UBER Admits Its Driverless Technology Is Stolen From ‘As Seen On TV’ Robot Vacuum"